Patty is intensely interested in our connection to nature and how that connection is expressed through movement. The activation of fluid systems, beautiful spiraling movements and deep connectedness of Continuum Movement immediately resonated with her. 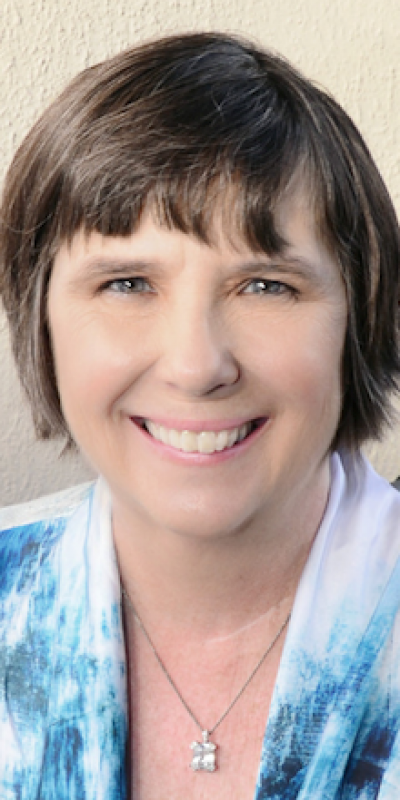 Patty Adamik has been a massage therapist since 1989 with advanced training in the structural/energetic work of Zentherapy®, Vodder Method Lymphatic Massage, Russian Medical Massage and various other modalities. She has always incorporated movement education into her therapeutic sessions in order to provide her clients with a tool for self help and enhancement of bodywork modalities. She is a Nationally Certified Massage Therapist and Texas licensed Massage Therapy Instructor since 1994. She is also a member of the American Massage Therapy Association and the International Association of Structural Integrators. Patty’s training in the creative and healing movement arts began at age 12 with classical ballet training that continued until age 18. Her interest in the mind-body connection led to a continuing practice of yoga and eventually Tai Chi, which she trained in and taught from 1985-2004. She has practiced and studied Continuum Movement since 2000. Patty began training directly with Emilie Conrad, founder of Continuum Movement in 2003. In 2007, she participated in the first Continuum Wellsprings Practitioner training and in April of 2008 was authorized as a Continuum Movement teacher. She currently maintains a private therapeutic bodywork and movement practice. As an avid gardener and outdoor enthusiast, Patty’s ongoing interest in our connections to the natural world infuses her work with a deep respect for the processes inherent to our biological heritage.